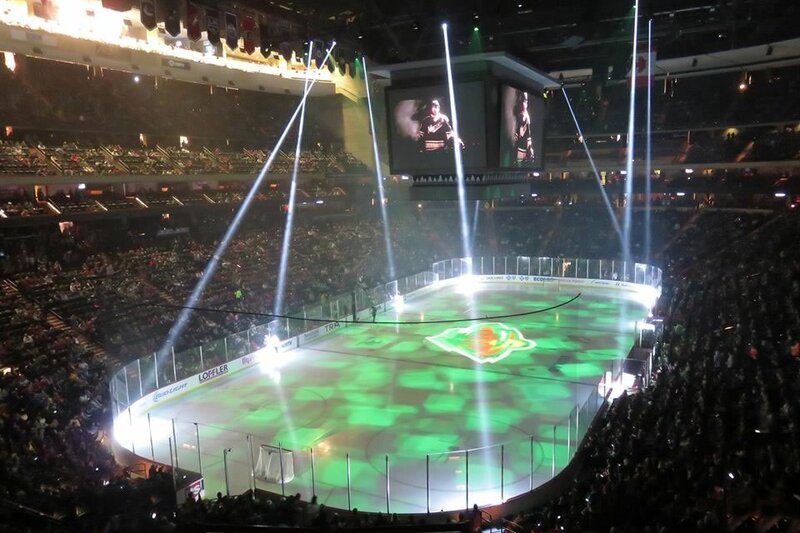 SIHR members were treated to one of the most memorable events in the Society's history as VP USA West Roger Godin and the Minnesota Wild Hockey Club rolled out the red carpet in America's hockey cradle, Saint Paul, Minnesota. 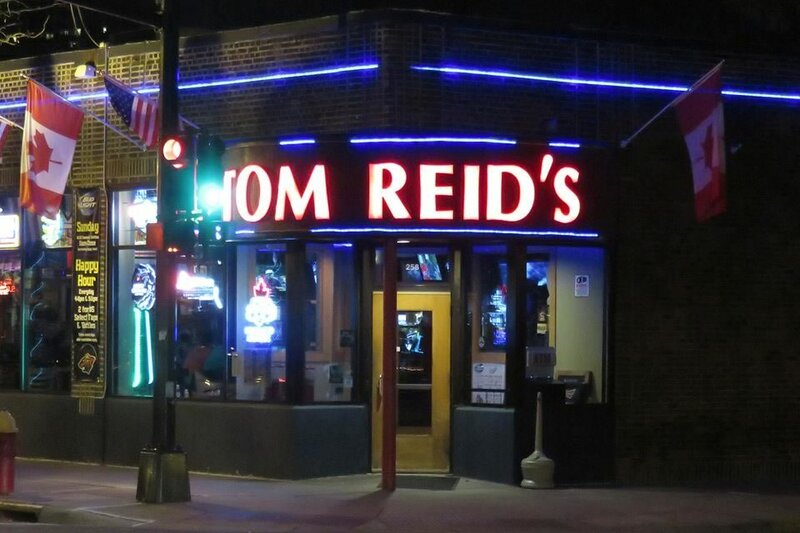 The Friday night meet-and-greet took place at Tom Reid's Hockey City Pub, which saw the former North Star player address the group and mingle over drinks. 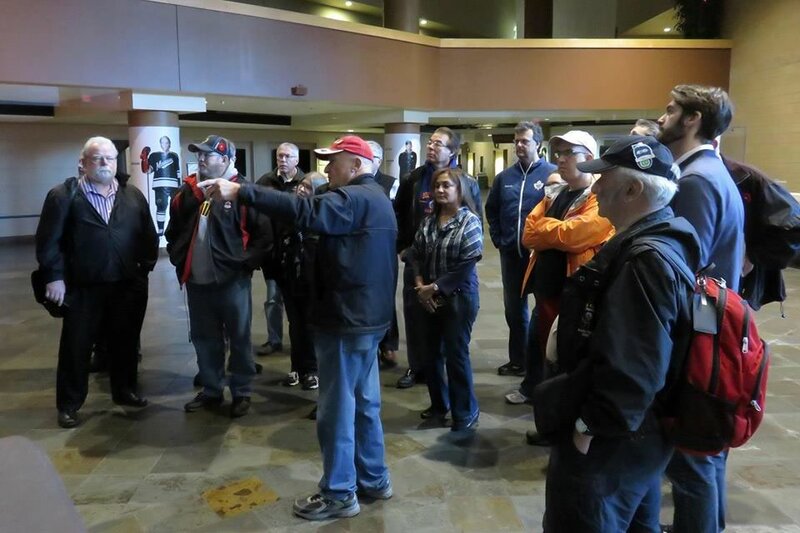 He was more than happy to share war stories and provide some background on the many articles in his impressive memorabilia collection, which adorned the walls of the special event room reserved for the gathering. 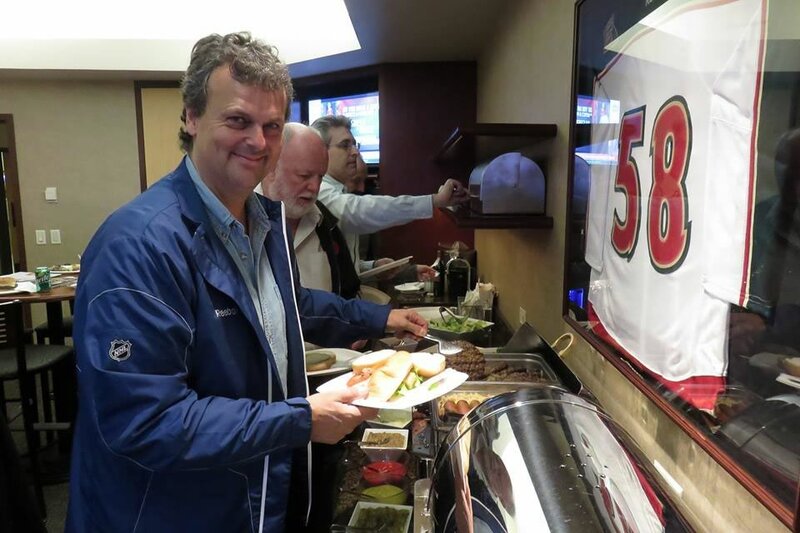 The following morning, SIHR's semi-annual business meeting was held in the boardroom at the Minnesota Wild's headquarters, where the 30+ members present heard touching eulogies for past-president Paul Kitchen and member Howie Morenz Jr. by Lenard Kotylo. Get-well wishes for VP Atlantic Ron Leger were also expressed before the roll call. In his report, president Jean-Patrice Martel outlined the creation of the Paul Kitchen award, which will be presented annually for the best research project (book or documentary) produced during the past year. It is the first SIHR award for whichÂ non-members are eligible. The Brian MacFarlane Award will continue to be presented to members for outstanding research and writing in one of the society's publications or electronic platforms. Finally, the President's award, which recognizes outstanding contributions to the society, will be renamed the Bill Fitsell President's award. Jean-Patrice also assured the group that the much-delayed Hockey Research Journal was to be printed within days and would be arriving in mailboxes in short order, and that each of the subsequent two editions would be prepared within a few months of its predecessor. Secretary Monika Moravan addressed the current membership numbers, which is composed of 537 people in 16 countries from all corners of the globe, with the bulk continuing to be in Canada and the United States. 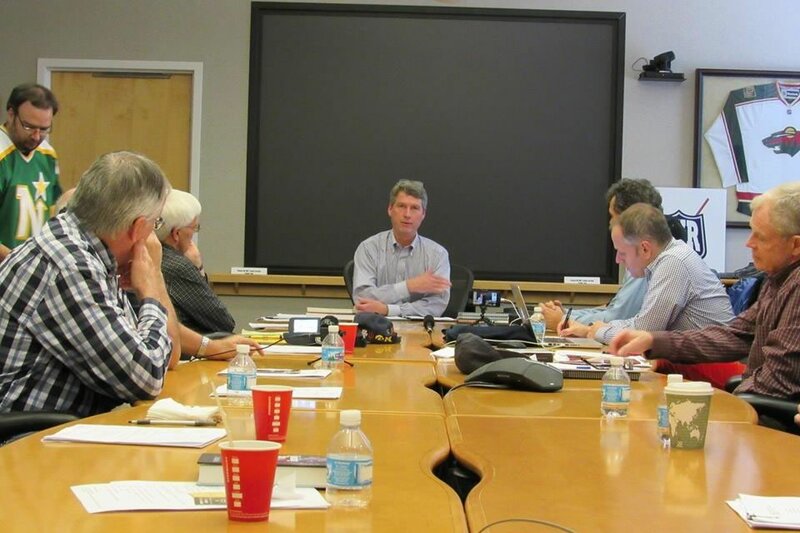 Standing in for the absent Iain Fyffe, President Martel delivered the treasurer's report, which showed a healthy financial status, but he cautioned that the group continues to incur small annual deficits, and suggested that membership fees be revised to better cover operating and postage costs. 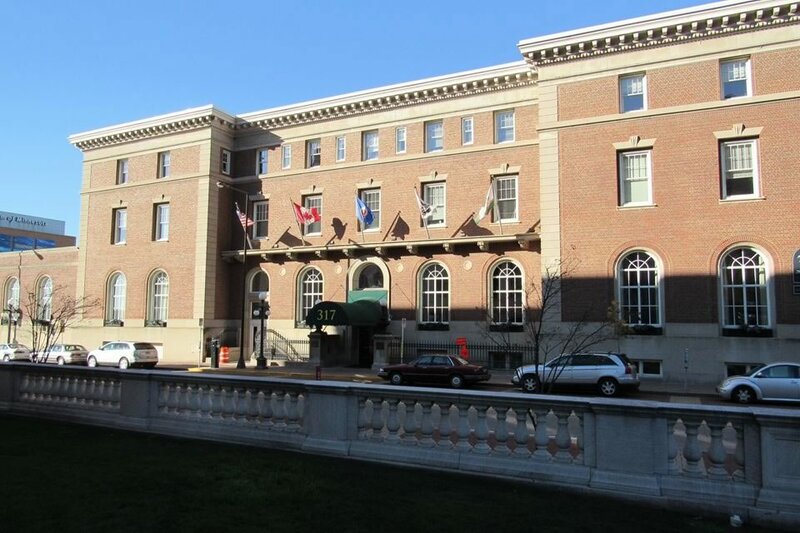 Later, a motion was approved that saw the annual membership fees increased modestly by $5 for members in Canada and the United States, and by $10 for international members. These are the first rate increases since 2008. In addition to his treasurer duties, Iain also chairs the Constitution Committee, and the report he prepared in this regard was also delivered by President Martel. 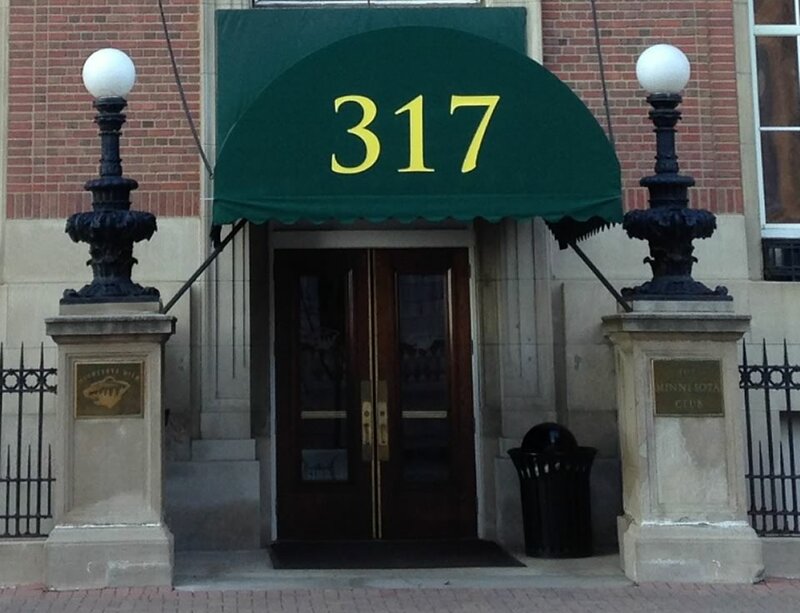 He reported that the committee had voted on 46 changes, and that the suggested changes would form the core of the final report, which is expected to be presented at the 2016 AGM in Kingston. 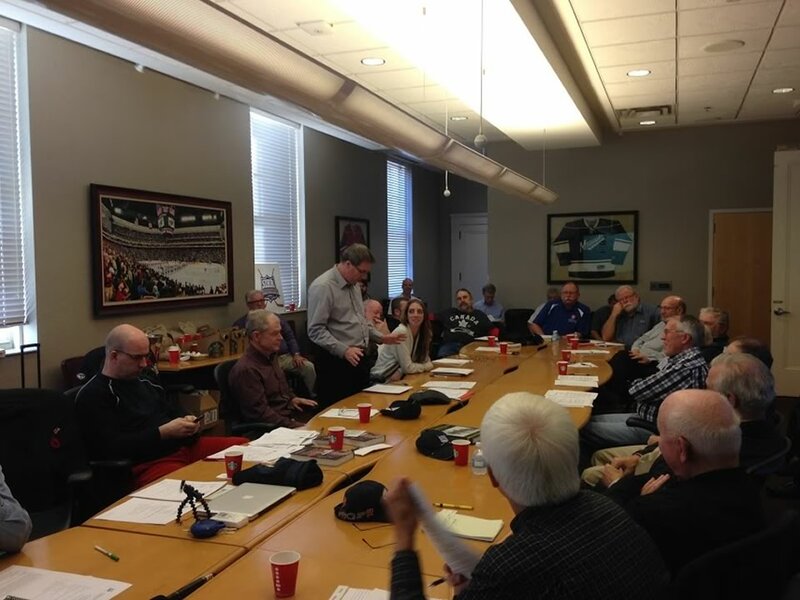 Aubrey Furguson presented a report on behalf of the Hockey Publication Bibliography Database Committee. He commented that it is still open to new members, and that he and Ross Hayton continue to amass content, which is currently at over 3500 books. Wayne Geen delivered a presentation about the voting software called Simply Voting, which has been selected to enable members toÂ take part in future elections via the internet. 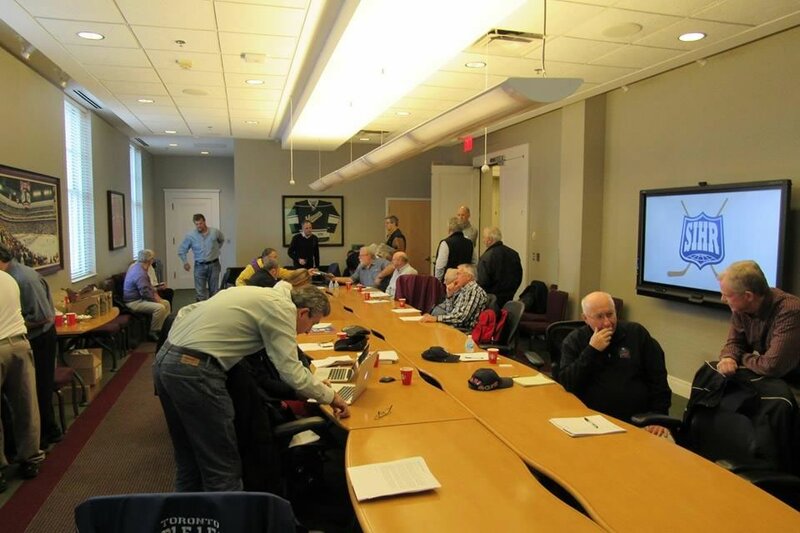 And the business portion wrapped up with the announcement of the location of the 2016 fall meeting, which will be hosted by Paul Patskou in Toronto, Ontario, on October 21, 22 and 23. More details on both of these topics will be available in the Bulletin and on the website in the coming months. 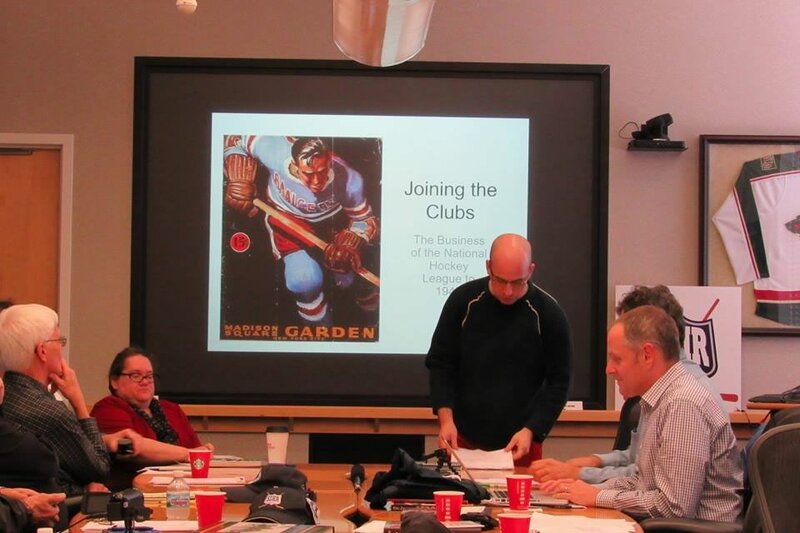 The delivery of the research presentations began before lunch, with J. Andrew Ross of Ottawa, who delivered "Joining the Clubs: The Business of the NHL to 1945." 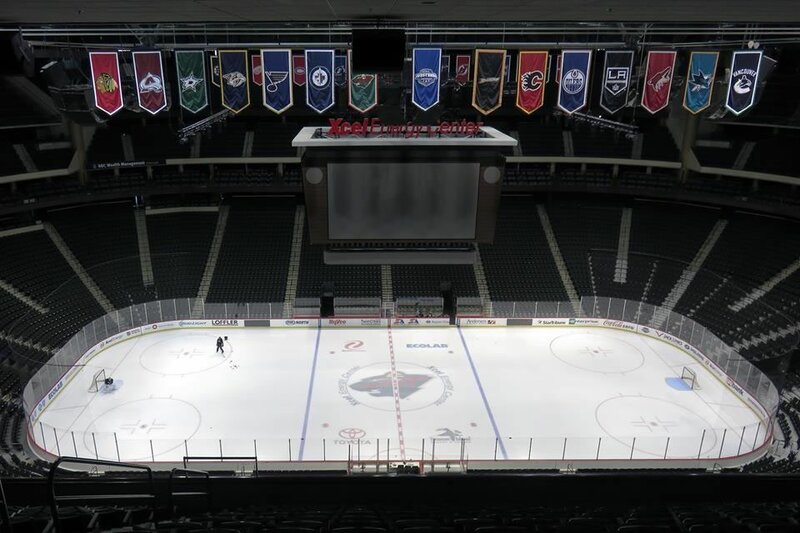 In the afternoon, Minnesota Wild general manager Chuck Fletcher and assistant coaches Darby Hendrickson and Bob Mason addressed the group, offering an inside glimpse of topics ranging from the day-to-day operations of the club to less-than-perfect transactions and why Saint Paul is a great place to play. They graciously took questions and offered candid responses, like when Chuck was asked "How important is the team historian?". After a roar of laughter from the group, he was quick to credit Roger for the great work with does for the club and for being an all around nice guy. No argument from us! 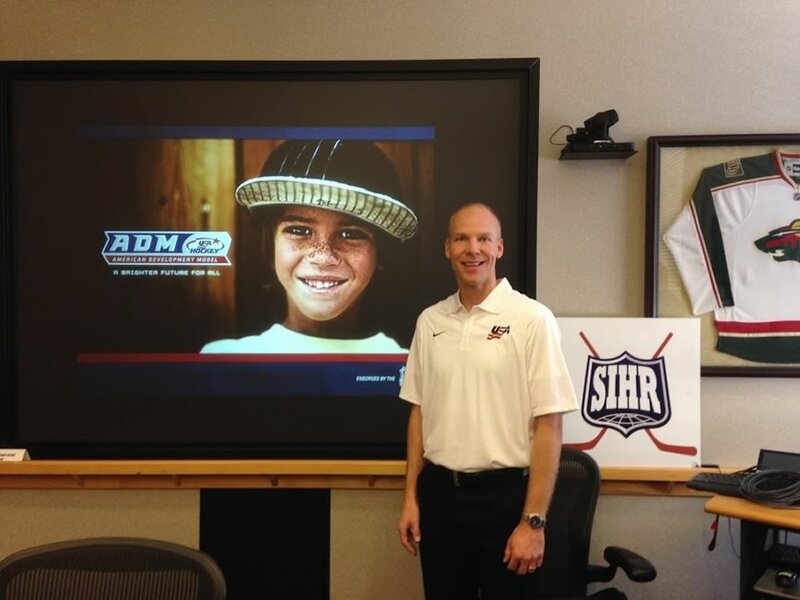 The presentations continued with Minnesota resident George Rekela delivering "How Violence Built the Minnesota North Stars," followed by Jayson Hron from USA Hockey in Colorado, who explained the USA Hockey Development Model. 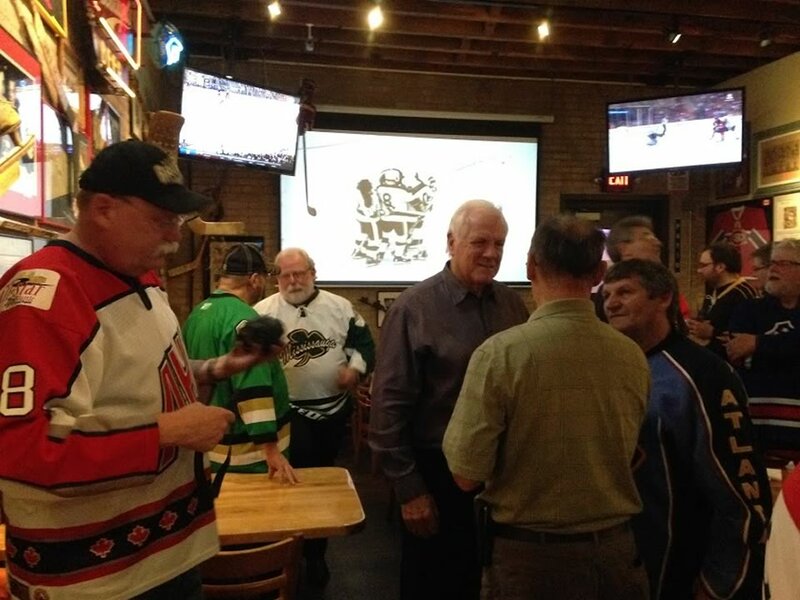 "Hockey and Dentists" was the title of the presentation by Bill Sproule of Houghton, Michigan, which outlined players and builders who were or became dentists, including his own father. 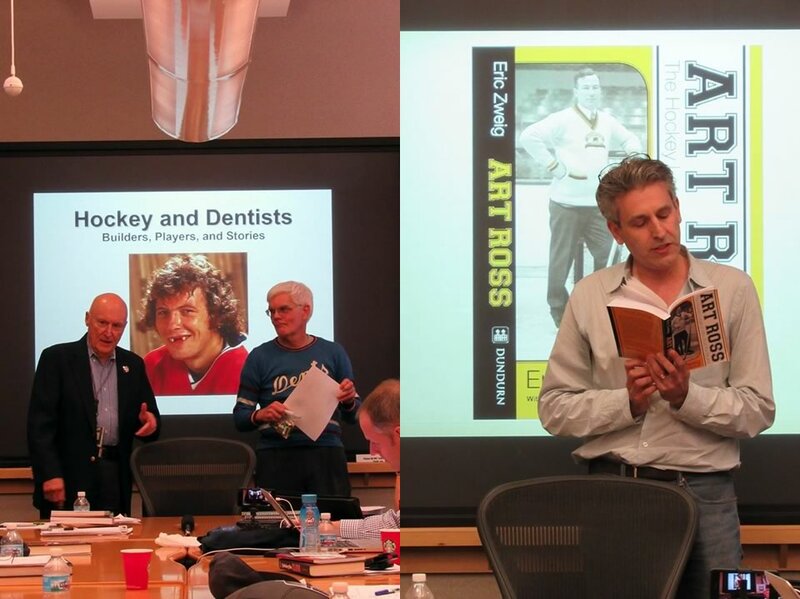 He was followed by Eric Zweig of Owen Sound, Ontario, who presented "Art Ross: The Legend Who Built the Boston Bruins." 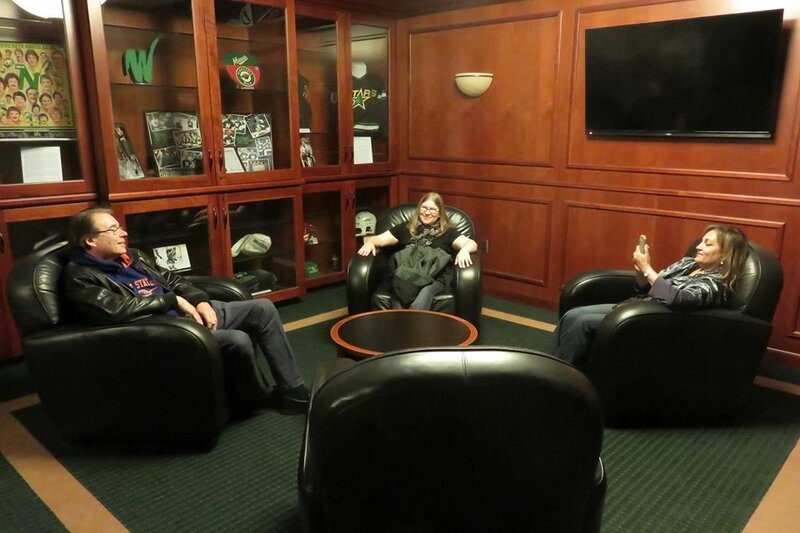 After a short break, the group reconvened in two luxury suites at the Xcel Energy Center to enjoy dinner and drinks before the Minnesota Wild took on the Tampa Bay Lightning. 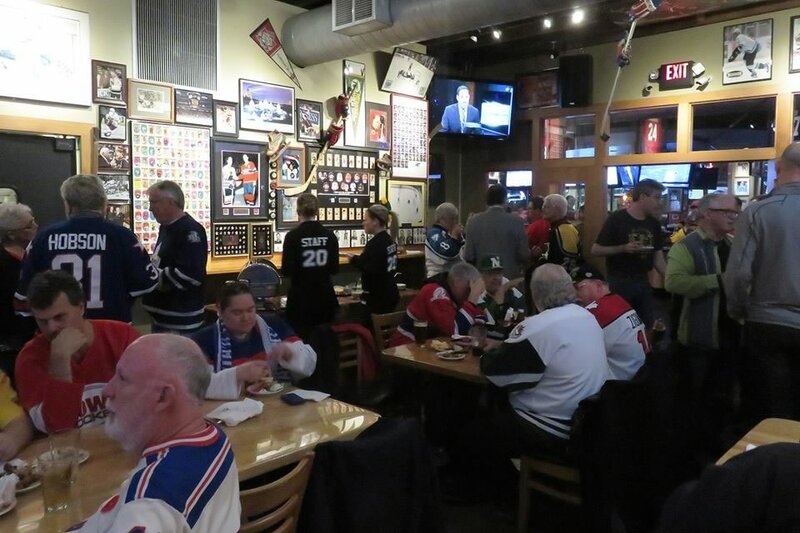 The evening was perfectly capped by a win for the home team. Sunday morning featured a bit of a break from recent tradition. 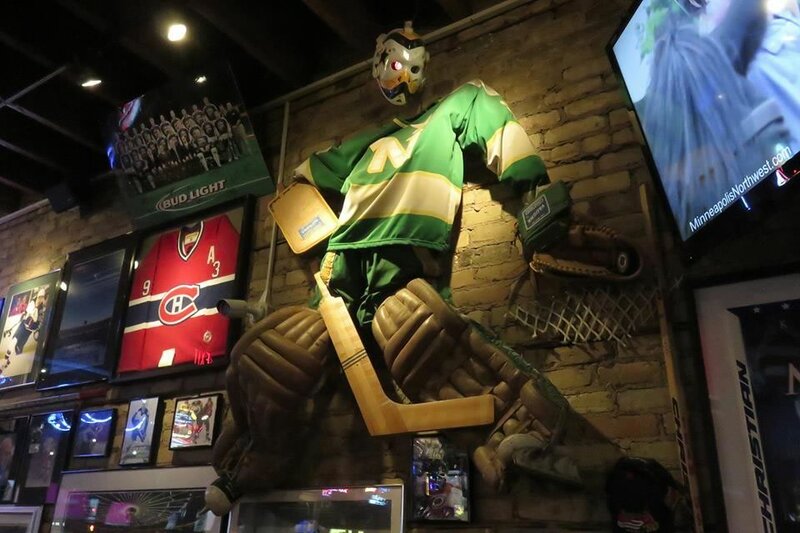 As many will know, the North Star State boasts well over a century's worth of hockey history, and Roger's task as the Minnesota Wild's curator is to present that history. 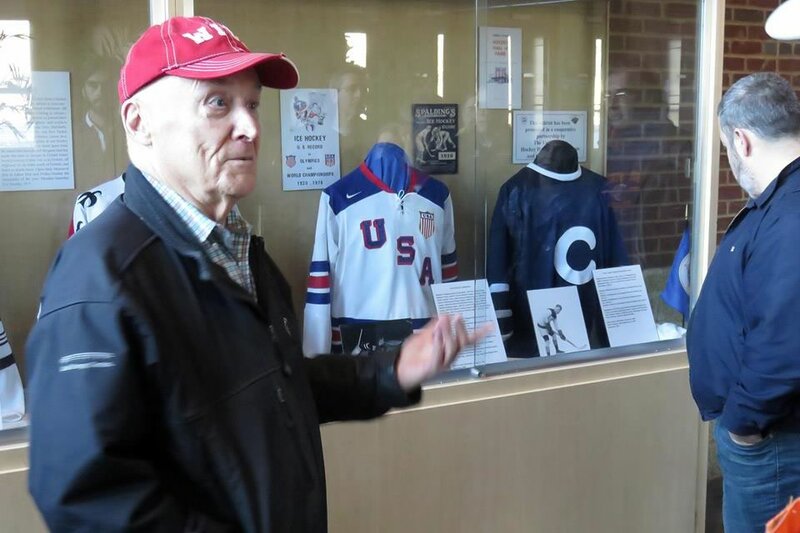 So in place of the Fitsell Cup ball hockey game, Roger conducted a tour of the State of Hockey Tribute, a series of 39 exhibits on the four levels of the Xcel Energy Center.